Since the late '70s, Laswell has relentlessly pursued the future with a stunning range of musicians and thinkers. A short list includes Herbie Hancock, Laurie Anderson, Tony Williams, Mick Jagger, Sting, Carlos Santana, John Zorn, the Dalai Lama, Pharoah Sanders, Yoko Ono, John Lydon, Bootsy Collins, Buckethead, Brain, Bernie Worrell, Karsh Kale, Afrika Bambaataa, The Last Poets, Zakir Hussein, Shankar, Ustad Sultan Khan, Sonny Sharrock, Toshinori Kondo, Nona Hendryx, George Clinton, Whitney Houston, Bachir Attar, the Jungle Brothers, William Burroughs, Paul Bowles, Sly & Robbie and dozens more from the Americas, Africa, the Caribbean, Europe, the Middle East and Japan. His willingness to take risks is unparalleled in the world of music--as is his ability to unite seemingly disparate voices. 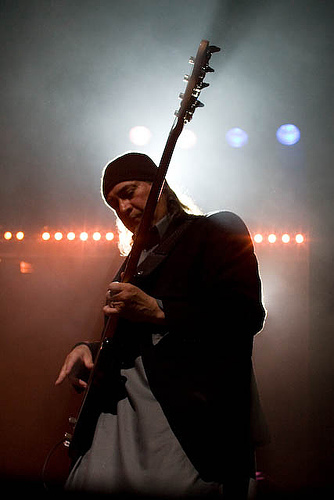 A traveler from the time he was born, Bill Laswell's discography reads like a series of postcards from around the planet. A man in constant motion, his earliest years were spent on the road with his parents, moving frequently throughout the mid-west, eventually settling in Albion, Michigan when he was six. Barely a teenager Laswell began striking out on adventures of his own, riding the bus or hitchhiking to Ann Arbor, Detroit, Chicago, Toronto and Montreal. Sometimes his mission was just to see what existed beyond his home town but more often he was out to raid record shops or absorb live musicas a kid he was already deep into the titans of free jazz and fusion as well as blues, r&b and rock. Perhaps his most remarkable adventure around this time occurred when he made his way from Albion to Rhode Island for the Newport Jazz Festival to see Tony Williams' Lifetime, photos of which he keeps to this day. High among Laswell's early influences was Miles Davis' electric period, 1969 to 1974. The swirling textures of songs such as He Loved Him Madly, In a Silent Way and Shhh/Peaceful-suggested to Laswell ways in which sheets of atmospheric sound and texture, rather than traditional ideas of rhythm, melody and harmony, could play the dominant role in musical creation. In later years, Brian Eno developed a somewhat similar concept, which he termed 'ambient' music, and it's no surprise that one of Eno's early ambient albums - On Land - was a collaboration with Laswell. Through future projects with Buckethead, Pete Namlook, Tetsu Inoue, Eraldo Bernocchi, Jeff Bova, Alex Hass, Jonah Sharp, Divination and Paul Bowles Laswell moved beyond his work with Eno to forge new ambient territories, sometimes dark and industrial while at others full of light and open space. Davis opened other creative portals through which the young Laswell also passed. Albums such as On the Corner and Get Up With It suggested that under the right circumstances beats and prominent basslines could merge on equal footing with sounds from different cultures and genres. Respectful of Davis but having no desire to repeat the past, Laswell incorporated dub techniques, welcomed the jarring affects of randomness and created a heightened sense space to open the music still further. This mode of operation is audible in recordings of his own and in productions for others - Tabla Beat Science, Material's Hallucination Engine, the solo outing Hear No Evil, Ginger Baker's Horses and Trees and Middle Passage, the four albums he produced for Herbie Hancock, the Sacred System albums and a potent new direction in recent years, the music of Ethiopian-born Gigi. In 1998 Laswell created Panthalassa, a mix-translation of Davis' electric period, and turned young ears on to the music that previous generations had dismissed as an abomination. Finally, prime among Laswell's inventive cross-fertilizations is his work with William Burroughs, The Road to the Western Lands, perhaps the only spoken word album that can bend the intellect and move a dancefloor. If his compositions and productions are unique, Laswell's own bass sound is equally so. Rather than squeezing out an excess of notes or high-end sounds more suitable to a guitar or other instrument, Laswell's vibe has more to do with repetitive low blows that grease the hips and cast spells on the mind. While one can hear echoes of the finest r&b, funk and Jamaican bassists in his playing it must be stressed that Laswell is not simply a conglomeration of those who have come before him - his overall sound is ultimately the product of years of playing, live and in sessions, with the finest musicians from around the world. Indeed, as a teenager Laswell's gigs were among the toughest a musician of any age might face; touring as far south as Alabama and Florida he played black music in predominantly black clubs where the customers could be merciless when disappointed. As a former bandmate noted, "There was only one way in and one way out of those places. I don't want to think about what would have happened to Bill if he messed up." Commenting on what these early gigs taught him, Laswell simply says, "If you're gonna do the real thing, you have to go to that school. It's not the other school." Laswell's early training in r&b served him well in other beat-based forms of music. In the early to mid-eighties he organized projects with the pioneers of what was becoming hip-hop-Afrika Bambaataa, D.ST, Fab 5 Freddy, Phase II and others. His best-known work of this period was the 1983 classic he produced for Herbie Hancock, Future Shock, whose hit single Rockit thrust proto-turntablism upon a mass audience for the first time ever. Years later, 1999's Intonarumori cut through the commercial nonsense that much hip-hop had become and featured raw, artful rap from Flavor Flav, Killah Priest, Kool Keith and Rammellzee. Laswell's funk-related projects - particularly on his Black Arc label - shine new light on such greats as Bootsy Collins, Bernie Worrell, Eddie Hazel and George Clinton. Catharsis - or what some might consider violent music - has also played a consistent role in Laswell's music over the years. The band volatile Last Exit, active from 1986 to 1989 left unsuspecting listeners at a loss for what these supposedly respectable musicians were doing onstage. Laswell notes, "Those were probably the most destructive years for all of us." On the other hand, saxophonist Peter Brotzman reflects, "I wouldn't trade those years for anything." Similarly, Painkiller, with John Zorn on saxophone, is another high decibel assault - but given the steady demand for live appearances in the United States, Mexico, Japan and Europe - Painkiller's extremes fill a universal human need. This is also the case with the enormously popular Praxis, featuring Buckethead, Brain and Bernie Worrell, and Massacre, started way back in 1981 with British guitarist Fred Frith. All these bands are unique entities but they all specialize in a sonic reaming of the psyche. Like fire, music can be a great cleanser. Although Laswell has been at the core of so many influential bands and projects - Material, Massacre, Last Exit, Painkiller, Praxis, Divination - he resists the concept of a fixed musical situation. As such, with the exception of Last Exit, these are not bands in the traditional sense. Instead, they are forward-thinking collectives that value changes in personnel, set lists and sounds. As Laswell once put it, "I imagine the worst experience in the world would be being in a band and you play, what, no more than 100 songs in your entire life. All you really have is your relationship with musicians in the band and you hope it'll succeed, that people will like it. It was just a scary thought." 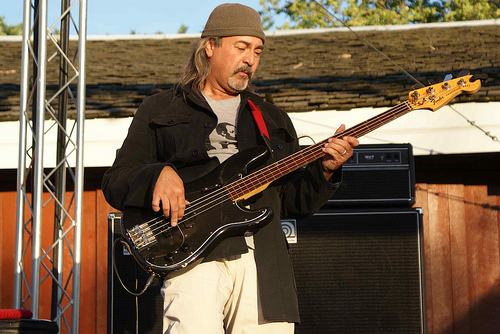 If you didn't know, Bill Laswell now has a Bandcamp page. This will allow him to bring you more rare, unreleased and out of print items that may not fit the MOD Technologies label. Many of the label releases will also be featured in addition to be available through the MOD Bandcamp page. 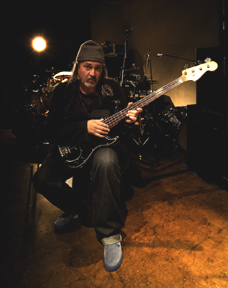 You can check it here: Bill Laswell Bandcamp. Show some support and some love. Lots of out of print titles new covers and some rare unreleased work. First off, Risurrezione: Dubopera from Laswell & Masahiro Shimba finally was released by ESP Disk. The Celebrate Ornette! box set was finally released. Taken from the Concert of the same name in 2014 as well as the Ornette Memorial concert a year later, this set has Laswell on a few of the tracks from the Brooklyn show. Public Image Ltd. has released a deluxe version of Album. In addition to a remastered version of the original release, there are some Laswell bonus tibits in the form of versions from singles as well as an unreleased alternate mix of "Ease". An exclusive two track EP through Laswell's Bandcamp from Laswell & DJ Krush: Saihate EP..
MOD Technologies Digital and Hideo Yamaki's label have released The Drawing Center, a new live release from Laswell & Hideo Yamaki w/ Dave Douglas. Culled from an absolutley stunning blistering set in August 2016 at The Drawing Room in NYC. Don't forget, the MOD Technologies Store is now through Bandcamp. Right now it consists of only digital product, but it's given us the flexibility of offering you more formats, including FLAC, ALAC or whatever you may want. The Last Poets have released a limited free single entitled Black Lives Matter. Available through the Laswell Bandcamp site or the newly activated Last Poets Bandcmap page. A long delayed compilation of modern Ethiopian music has received an exclusive release through the Bill Laswell Bandcamp page. Making it's way into Laswell's hands, this compilation had limited information included to go along with it. Laswell worked on it, tweaked it, added to it...and then there was radio silence from the originators. So, it's now brought to you exclusively there, albeit with very limited information. Ethiopia: African Futurism. The Stone, a new live release from Laswell & Hideo Yamaki. Taken from a blistering set a few months ago at John Zorn's club The Stone in the East Village of NYC. The Road To the Western Lands is a "remastered and enhanced" compilation of some of the work that Laswell and Burroughs did. Finally (for now), keeping with the Burroughs theme, MOD Technologies Digital is releasing an EP of the out of print remixes from the Material re-release of Seven Souls. The Seven Souls Remixes EP features one remix each from Laswell, Tim Simenon from Bomb the Bass and Terre Thaemlitz.